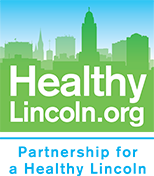 Partnership for a Healthy Lincoln is a member of the Lincoln Community Breastfeeding Initiative. The Lincoln Breastfeeding Community Initiative (LCBI) is a collaborative partnership of health care providers and community organizations focused on improving breastfeeding rates by creating consistent, accurate breastfeeding messages for new mothers across the spectrum of health care. LCBI works with health care providers across the city to establish policies and practices that encourage breastfeeding education, support consistent messages, and guide mothers to appropriate breastfeeding assistance as it is needed. Consistent with the mission of LCBI, these pages provide a one-stop repository of links and information to assist moms, families, employers, and healthcare providers in supporting breastfeeding. Leadership Group: Ann Seacrest, Mindee Tockey, MilkWorks; Dr. Kay Anderson, Lincoln Pediatric Group; Wendy Muir, April Deis, Elizabeth Johnson, Bryan Health; Dr. Alyssa Rutan, Bryan Women's Care Physicians; Connie Miles, Leah Shrader, CHI Health St. Elizabeth; Nicole Engelbart, LLCHD WIC; Caitlin Neidow, Family Service WIC; Dr. Sara Castillo, People's Health Center; Dr. Bob Rauner, Mary Jo Gillespie, Tami Frank, Project Coordinator, Partnership for a Healthy Lincoln.